Did someone say Fashion Week? Say no more because the YBF model slayage is doing ALL the talking...off the runway. 1. Model chick Winnie Harlow knows a thing or two about posing and angles. And the 23-year-old, who’s rumored to be dating racecar driver Lewis Hamilton, put on a show during the Miu Miu Women's Tales Party London held inside Lou Lou Club during Milan Fash. Winnie got into formation rocking an army green romper topped with a edgy raincoat dress and paired the look with some fire sandals. We need those shoes! 2. 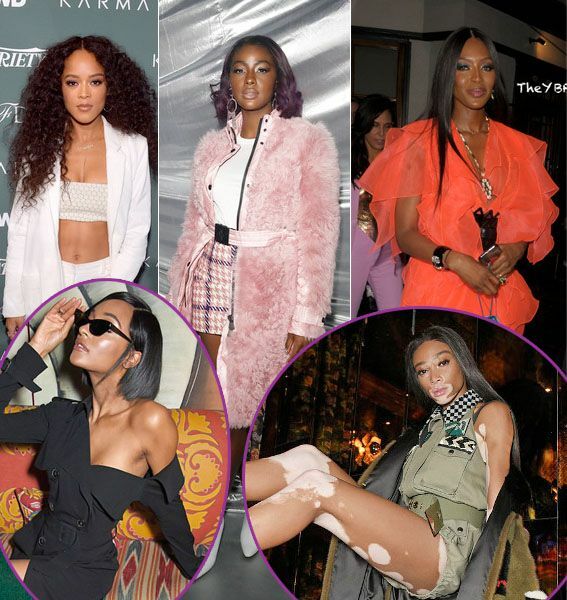 Jourdan Dunn was in a “shady” mood, so she whipped out her Alain Mikli sunnies to accessorize with her black Jean Paul Gaultier blazer type dress. She too, served up some model fab for the cameras. Making their rounds, Winnie and Jourdan linked up with their model friends Adesuwa Aighewi and Achok for a photo-op. 3. Veteran model Naomi Campbell was giving the youngings a run for their money popping up on the scene in a bold look. This is what 47 looks like. While this isn't our favorite look from the runway slayer, she pulled it off. Singer Justine Skye loves a fashion event and is always on the scene to soak in the fabulousness. The ULTRAVIOLET songstress rolled up to the Moncler Genius show during Milan Fashion Week in a complete pink look by the designer paired with white Manolo Blahnik booties. Before heading out, she posed it up for a mini shoot in the rub. 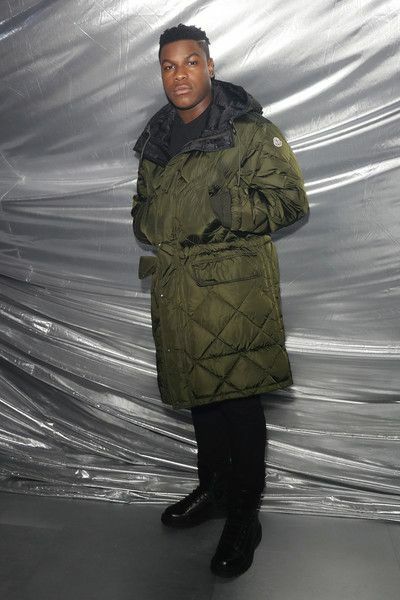 Naomi and Star Wars actor John Boyega stepped out to see the new designs. Black Panther actress Lupita Nyong'o served up a bold look to party it up at MNKY HSE in London during London Fashion Week. She recently joined the #BlackPantherChallenge and sent 600 Kenyan kids to see the film. If you haven't seen it yet, you NEED to ASAP! Well, show off then! “Empire” star/singer Serayah had her toned abs on display in a white pantsuit paired with gold Le Silla ankle boots for the Variety CFDA event held at Chateau Marmont on Sunset Blvd. And look who else was there. 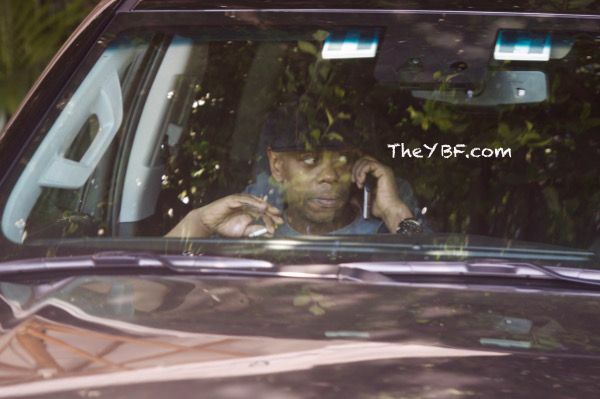 Funnyman Dave Chappelle was also seen leaving the Variety CFDA event. PREVIOUS: Tamar Braxton AND Vince Herbert Address Side Chick Pregnancy Rumors On ‘The View,’ Says Divorce Is Not A PR Stunt!